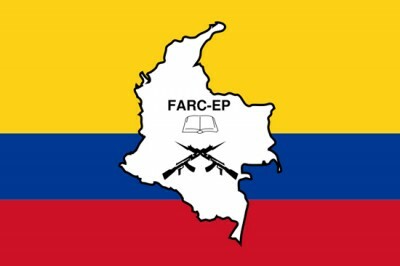 Colombia’s Revolutionary Armed Forces (FARC-EP) insisted on Friday that guerrilla commander Simon Trinidad, jailed in the United States, participates at peace negotiations with the Colombian government underway in Havana. Shortly before the dialog resumed at Havana’s Convention Center, FARC-EP delegate Jesus Santrich reiterated the guerrilla’s request for Trinidad’s attendance. The guerrilla insists in its request because the jailed commander is highly recognized by the FARC as an extraordinary epace fighter, who can play a significant role in the talks, given his experience and wisdom. Trinidad took part at peace negotiations previously held in 1999. Santrich denounced that the jailed commander is being submitted to inhumane prison conditions since he has chains tying his hands, feet and body, with high-voltage wires around him and this implies that any sudden movement of his body, even an accidental fall, could trigger an electric shock. The delegate urged the Juan Manuel Santos government not to hinder an eventual release of the commander, who was extradited by Bogota in 2004, so that he can participate as a “ catalyzing element” for the peace process. Santrich also said that his country’s penitentiaries are overcrowded and he called on public opinion to urge the Colombian government to allow a public assessment of that situation. He denounced the systematic and premeditated violation of the inmates’ rights by the Colombian government, whose prison guards he described as real psycopats that torture political, war and common prisoners. The peace dialog that kicked off November 19 in Havana continues to unfold at a good and firm pace, with coinciding points by the two parties on the land and rural issues, said the delegate. Other aspects on the agenda still to deal with are ways to guarantee political opposition, particularly for those movements that may surface after a final agreement is signed. The setting up of programs that replace illegal crops and the compensation of the victims of the nearly-50-year armed conflict are also included in the dialog, along with ways to implement and verify the accords. The Colombian peace talks count on Cuba and Norway as warrantors and Chile and Venezuela as accompanying countries.